Inca Trail Best Way to Machupicchu Throughout the year, thousands of people from different countries around the world decide to embark on the magical Inca Trail. A classic destination in Peru perfect for those who want to discover the wonders of the jungle and the historical mysteries that are still hidden in the ancient stones of Machu Picchu. This route usually starts from Cuzco, it is from this amazing place that the adventure begins. During the excursion, you can find impressive archaeological remains, a product of different fortifications. And these ruins are exactly what creates an incredible visual space of all the valleys. Allow yourself to be seduced by the mysteries hidden in the Inca Trail, a trip full of adventure, beauty, and unique experiences. Our travel and tourism agency will take you in the trail of the Inca jungle, an alternative way to Machu Picchu. 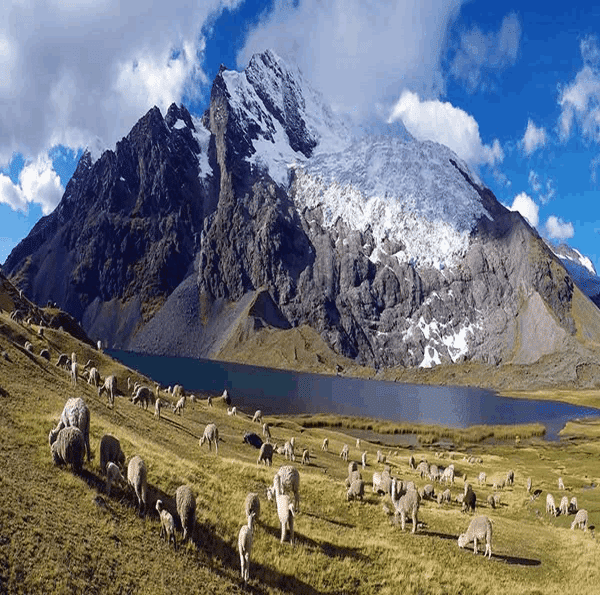 Since it is a route full of different adventure activities, little by little it has gained its place as one of the best options to know the historical mysteries of the Peruvian highlands. In this great place, you can practice trekking alone and charge yourself with high levels of adrenaline or you can also make it traveling fun by travelling with your friends or family. In any case, the relations and experiences that take place during the tour are quite interesting. Does the package include air tickets? Does the service include transportation? We also offer services such as hotel, accommodation, and other tours. You can always ask for other services and we will gladly provide you with all the information you need. The excursion of the Inca Trail is a journey full of adventure. It gets as challenging as inspiring, at this place where Cuzco joins the renowned Inca City. During the crossing of this incredible altitudinal slope, you will be able to enjoy different microclimates and varied ecosystems, such as the cloud forests. You will also come across a network of carved granite establishments, which are surrounded by unique natural settings. Similarly, you can enjoy exuberant landscapes of nature, different species of orchids, as well as multicolored birds. A magnificent and complete scenario of visual singularity. Our tour guides will be with you at all times, showing you and explaining all the details and facts of each area that you visit. We offer you a safe and unique experience so that you feel comfortable and allow yourself to be astonished by the mythical landscapes, which are worthy of admiration. Our tour of the Inca Trail consists of 4 days and 3 nights. And every day promises to be enjoyed to the fullest. The opening of the road to Machu Picchu starts very early in the morning. Therefore, we will pick you up at your hotel and depart to kilometer 82. After the ride, we will start with the walk, which will become easy and pleasant even during the first kilometers. The paths to walk are comfortable, and the landscapes are lovely, so you can admire and stare at the beauty that surrounds you. Starting with an incredible view of the snowy La Veronica, as well as the Vilcanota River, which is near. After a few hours of walking, we will arrive at the archaeological complex of Llactapata. There, we will stop to have lunch, and then we will return to our first campsite: Wayllabamba. In Wayllabamba, surrounded by a cold climate, we will share a delicious dinner and spend the first night of this trail of the Inca Trail to recover some strength. Very early in the morning and after breakfast, we will take another walk. So leaving from Wayllabamba, we start at the highest point of the Inca Trail. This is the most difficult to travel because of its great height difference. Since it is an imposing staircase build by the ancient Incas. However, the best part is that we will be surrounded by stunning panoramic views that empower your spirit and allow you to take the best photographs. After about 3 hours of walking, we will be at the highest point of the road: Warmiwañusca or dead woman at approx. at 4,200 m.s.m. Here you can feel an incredible satisfaction! We continue the tour until we descend to Pacaymayo, there we will have dinner and we will spend the second night of this incredible tour. Here, we start the last camp of this adventure. So after breakfast, we will resume the trek to ascend to the second most important step of this route that is at 3,850 m.s. And we then continue until we reach the archaeological complex of Runkurakay. In here, we will take a moment to get to know it with a guided tour that runs through the complex and also the citadel of Sayacmarca. We continue our trip to the archaeological complex of Puyupatamarca. In this monument we will make a break to have lunch, rest and admire the beauty that surrounds us. And finally, we will continue until we reach our last camp: Wiñay Huayna, which means forever young. There, we will appreciate its amazing archaeological complex, we will have dinner and rest for the last day of the tour. This is the most expected part by all visitors! After breakfast, we again resume our walk to take advantage of the fresh morning and hurry a bit to get to one of the greatest pleasures of this route in time: appreciate the sunrise at Machu Picchu. After an hour on the road, we will pass by the Entrance Gate to Machu Picchu (Inti Punku), where is possible to appreciate the most impressive panoramic view. We will stay three hours in the Inca Citadel, visiting the main sites such as the enclosures, squares, sacred springs, temples, the agricultural sector, urban and more. After this guided tour you can tour the complex on your own to know historical details of the culture of the Incas. Or maybe, take pictures and nourish yourself with the special atmosphere that surrounds this millenary place. Later, we will take the bus that will leave us in the Town of Aguas Calientes. And in the evening or fall of the night, we will return to Cuzco by train. And at this point, you will have enjoyed one of the classic tours of Peru that continues to amaze and reunite hundreds of people from all cultures. The experience of touring ancient monuments can only be enjoyed by doing the Inca Trail Tour.